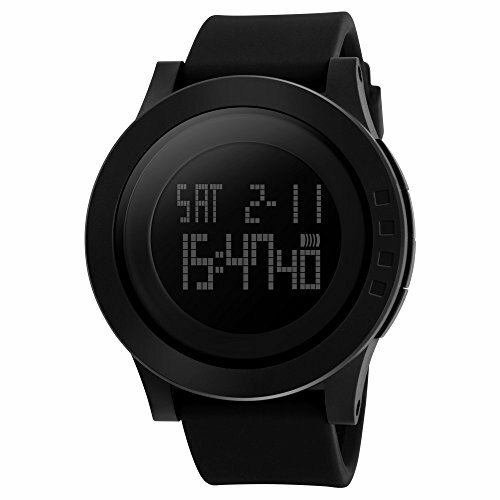 It's a minimalist all black big face sports outdoor digital watch. Fashion & Creation design, giving a strong visual impact and leading you to the edge of sport fashion; Comfortable and durable material make it perfect for all kind of sport and daily use, great gift for family and friends. Screw locked back cover, highly waterproof, easy to replace the battery. 1. Please DO NOT press any buttons underwater and avoid using it in extreme hot or cold temperature. 2. If mist or droplets found inside watch surface, please make it clean and maintenance immediately in professional watch maintenance department. If you have any questions about this product by mylooverleo, contact us by completing and submitting the form below. If you are looking for a specif part number, please include it with your message.